Forget black and yellow... I bring you WHITE AND PURPLE!!! I love this color combo, not just on nails, but in my life. The white really makes the purple pop. 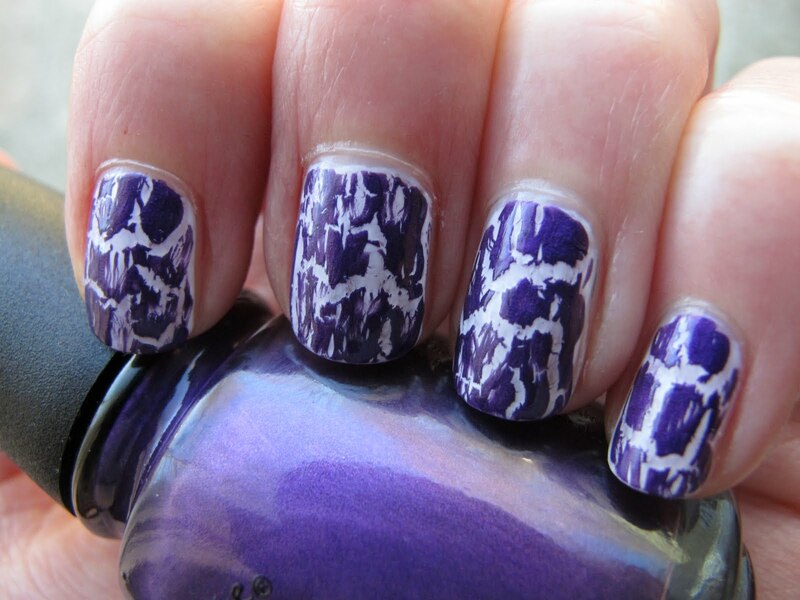 This is two coats of OPI Alpine Snow (my favorite white polish) with one coat of China Glaze Fault Line. I applied Fault Line in my beloved Blobbing fashion. I read a few reviews of Fault Line where bloggers thought it was difficult to work with and problematic. 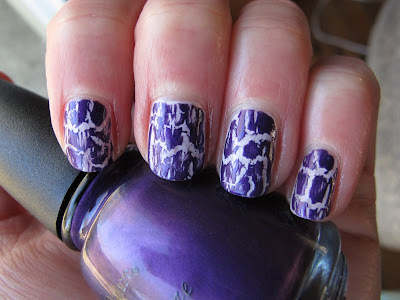 I did not have any trouble with it, and I think it crackled just the same as the other Crackles I have reviewed. I think it's the magical blobbing technique, really. It just makes Crackles look awesome. Some bloggers suggested that maybe the shimmer in Fault Line made it hard to work with, but for me, that was the best part. I LOVE the shimmer in this. It's hard to see in the pictures, but very cool-looking on the nail. I love how all of my nails come out differently and it seems like I always have one favorite nail when I do Crackle polish. 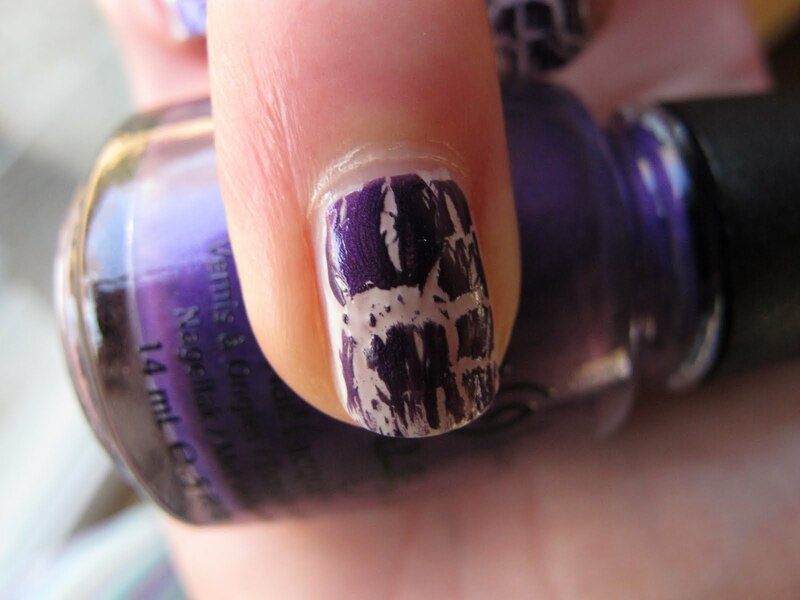 Below is my favorite nail from this mani. I just like the pattern it crackled in and those tiny specks of Fault Line in that big white crack. Very cool. Now, I promise that I do have some non-Crackle polishes coming up on the blog. 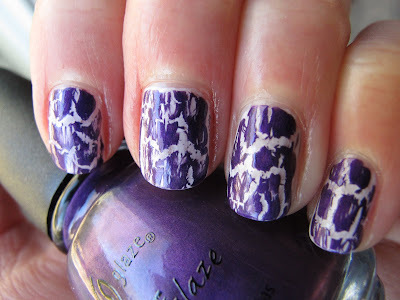 I will really try to peel myself away from Crackle long enough to review them. Also, I have a REALLY great spring polish giveaway starting on Saturday!!! 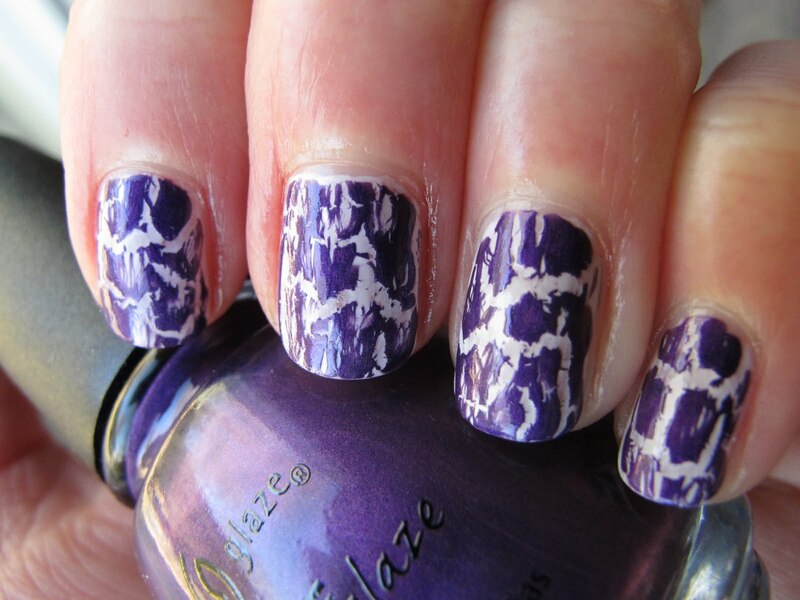 China Glaze Fault Line was sent to me for review. For more information, please see my Disclosure Policy. I love purple but have been hesitant to pick this one up because of the reviews, didn't seem like it crackled, but the blobbing technique seems to work well- great discovery!